Jazzed up with sapphire bridges inside and a titanium case. 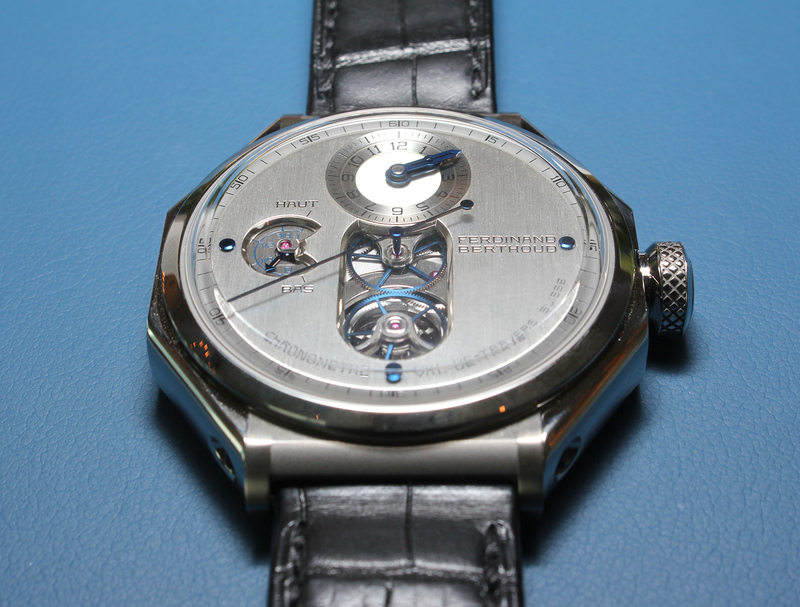 The original Ferdinand Berthoud tourbillon was impressively constructed while traditional in fit and finish. Now it’s been given a modest makeover with modern materials inside and out. The fourth variant of the model from Ferdinand Berthoud, the Chronomètre FB 1.4 is fundamentally the same as the original, featuring a hand-wound movement with tourbillon as well as fusée-and-chain mechanism. 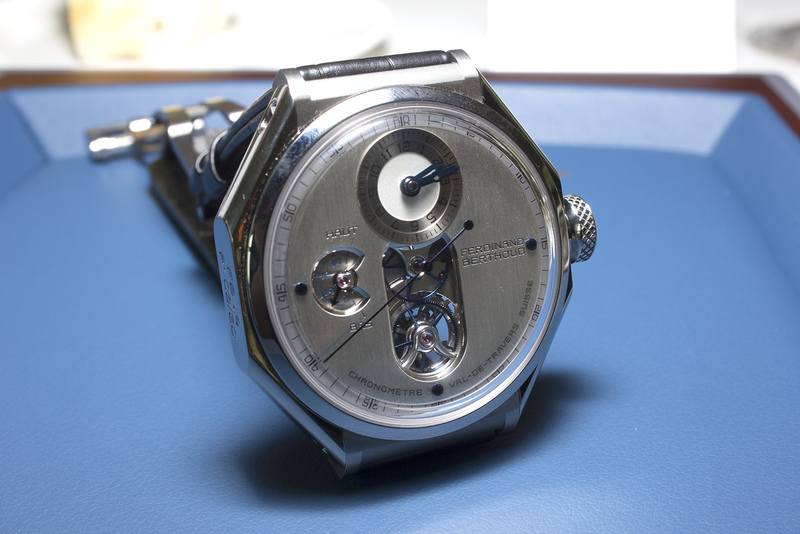 The octagonal, 45mm case remains the same in size and design, but is now lightweight. While the originals were available in gold or platinum, the Chronomètre FB 1.4 case is in Grade 5 titanium, finished with satin and polished surfaces, subtly contrasted with Grade 2 titanium lugs that are a slightly different shade of grey. 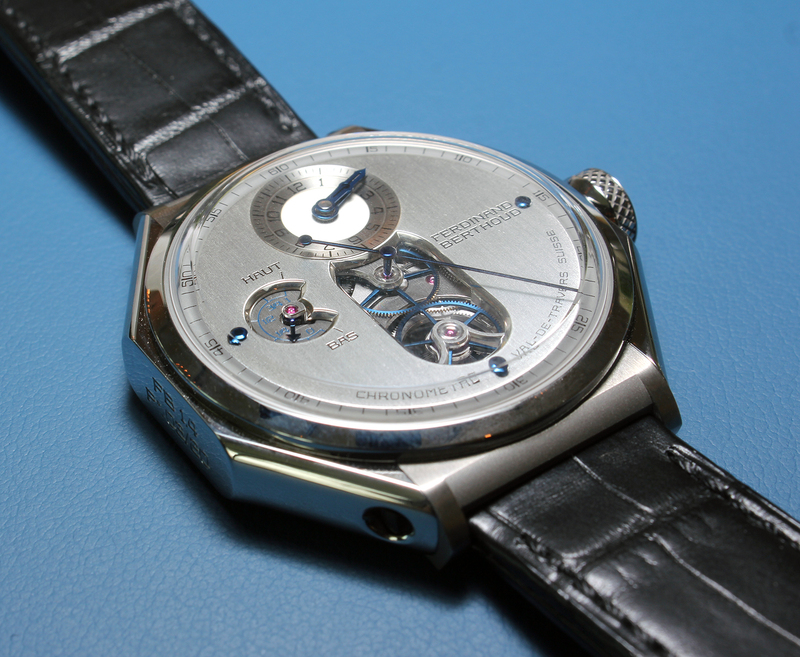 While the case of the previous versions had four sapphire portholes on its case flanks to view the movement, the titanium case is completely sealed. Instead, the cal. FB-T.FC-2 is exhibited entirely on the back. 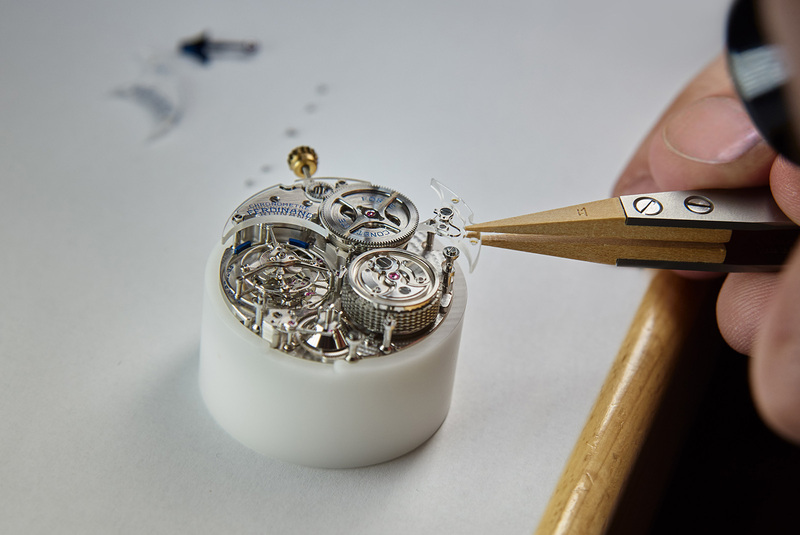 Developed by the same Fleurier facility responsible for Chopard’s top of the line L.U.C movements – Berthoud is an 18th century name resurrected by Chopard – the movement is elaborately constructed and now easier to admire. The German silver bridges have been replaced with three sapphire bridges, secured to the main plate by titanium pillars. 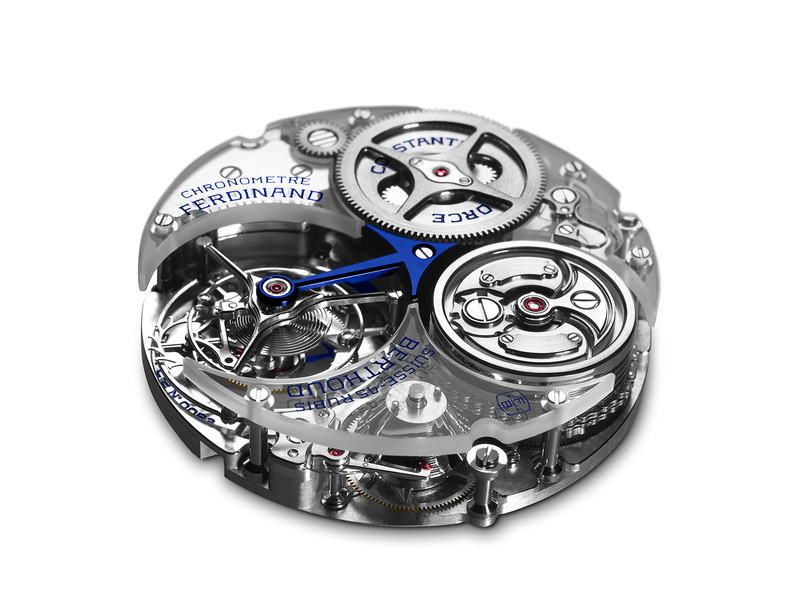 They offer an unimpeded view of the movement, notably the large chain-and-fusée transmission system and the polished cone with a ruby-tipped feeler arm for the power reserve display. 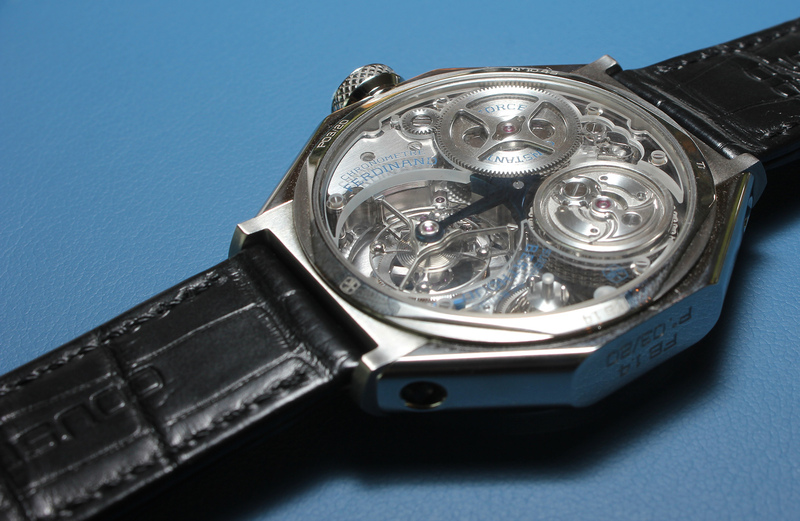 Despite being harder than German silver, the sapphire bridges are still bevelled by hand. The Chronomètre FB 1.4 is available in two dials: the Chronomètre FB 1.4-1 in black, and the FB 1.4-2 with a vertical satin-brushed silver-toned dial. 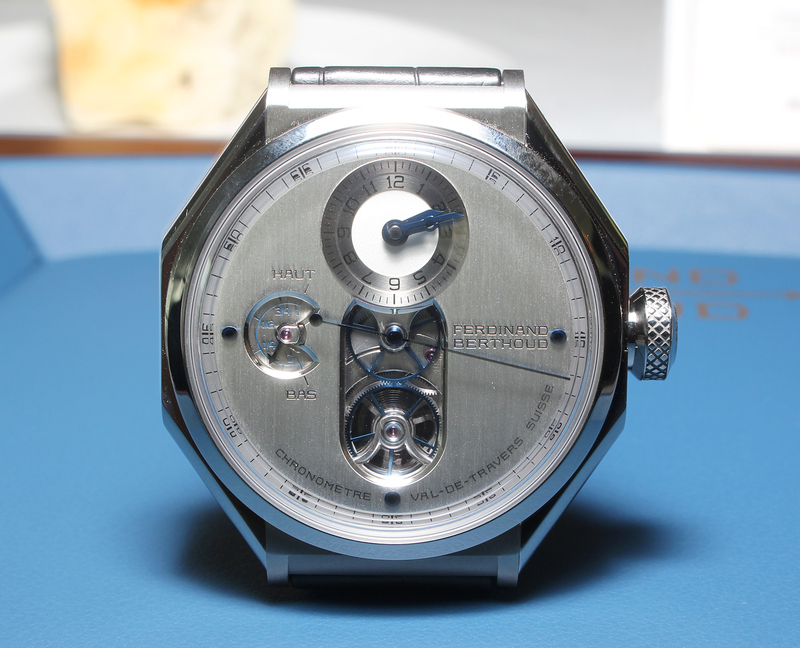 An elongated aperture down the centre of the dial reveals a blued tourbillon wheel and a blued seconds wheel that drives the central seconds hand. 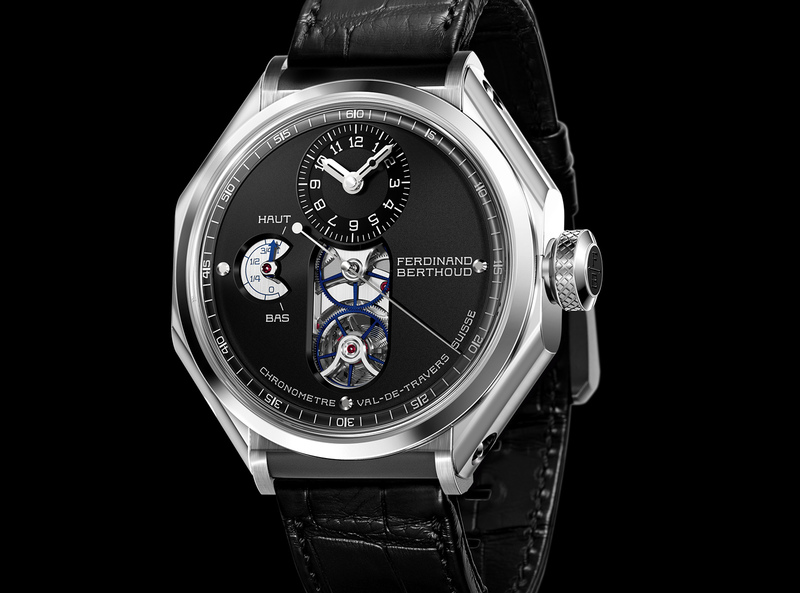 The Ferdinand Berthoud Chronomètre FB 1.4 is priced at US$207,900 and is limited to 20 pieces.